Holy Basil Liquid Extract by Planetary Ayurvedics is a very good product, great after a day of hard work, very relaxing. Holy Basil Liquid Extract - 4 fl. oz (118.3 ml) from Planetary® Ayurvedics helps you boost your immune health. Tulsi‚ as Holy Basil is commonly called in India helps promote a calm mind along with a healthy mood. The ‘active molecules’ present in Holy Basil may promote healthy inflammatory response in humans and may even potentially contain cell protective properties. The stress-filled life that we all need may prove unhealthy. The erratic lifestyles may lead to a variety of imbalances in the body and may even increase the cortisol levels. Indian ayurveda has always believed that holy basil may reduce the stress levels by promoting a calm mind. The holy basil contains rosmarinic acid along with eugenol to reduce the levels of stress. Further scientific studies believe that this Planetary® Ayurvedics supplement contains ursolic and triterpenoic acids that also work towards stress management. 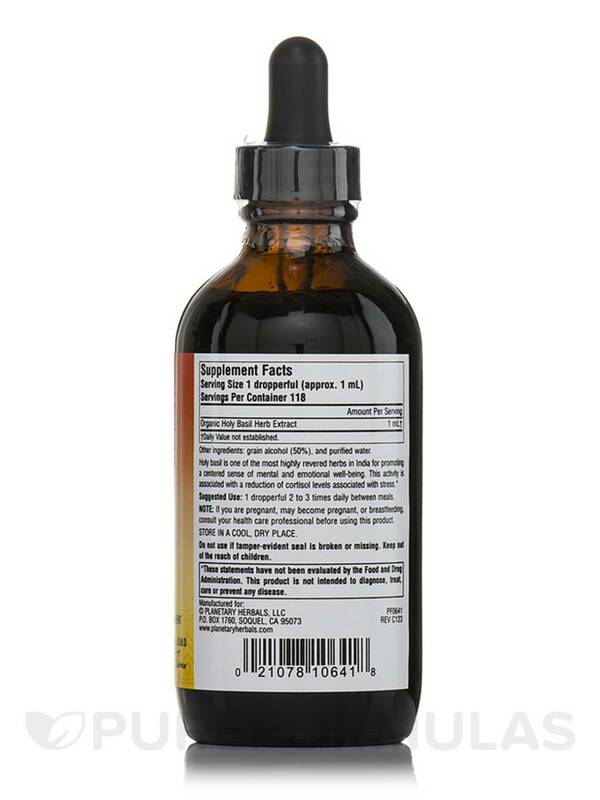 Give your body the adaptogen advantage of Holy Basil Liquid Extract - 4 fl. oz (118.3 ml) from Planetary® Ayurvedics. I much rather take a liquid than another pill. 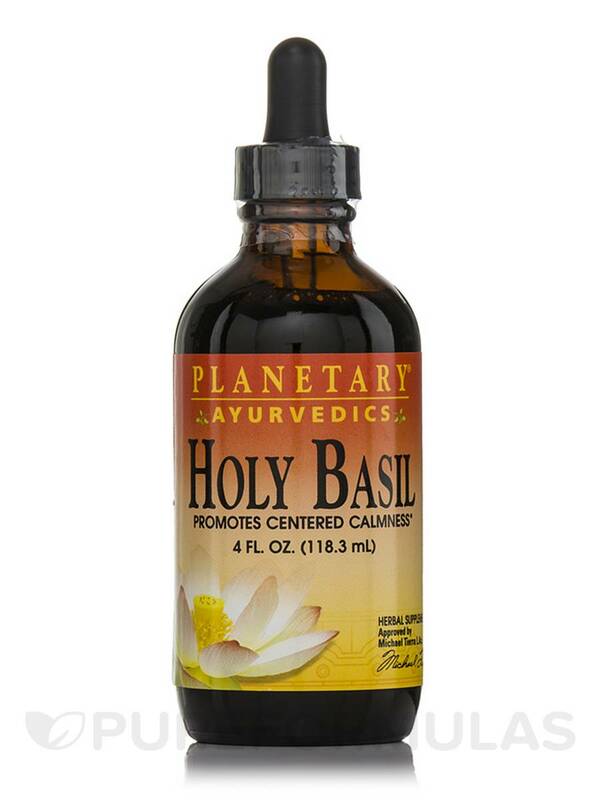 I love the taste of Holy Basil Liquid Extract by Planetary Ayurvedics. The strength of Planetary Ayurvedics Holy Basil Liquid Extract is of high quality. Excellent buy, the cost at PureFormulas is a great find. I have extreme High Blood Pressure caused by adrenal glands & Holy Basil was highly recommended. Ordered & Received sooner than expected.